As a result of the 2010 – 2011 reforms daylight saving time was abolished and the number of time zones was reduced. 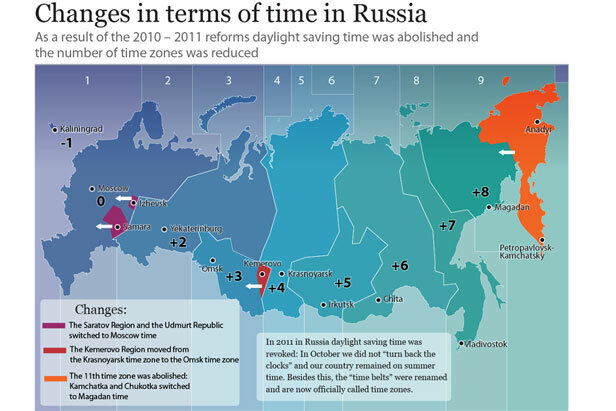 In 2011 in Russia daylight saving time was revoked: In October we did not “turn back the clocks” and our country remained on summer time. Besides this, the “time belts” were renamed and are now officially called time zones. Recently Crimea joined Moscow time zone.